Bismarck, North Dakota: Tourist Attractions? Yes it’s cold, flat and hard to get to but there are still some interesting places to see near the center of North America. But let’s be real, Bismarck North Dakota probably isn’t on most peoples’ bucket list. 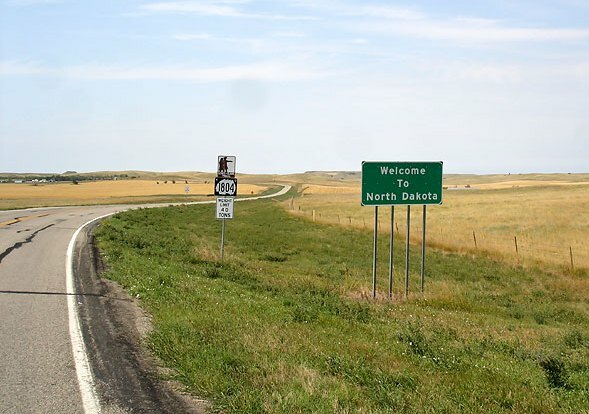 And it’s true, North Dakota is actually the least touristed state in the nation. But for those true backpackers out there; that might just be reason enough to visit. Having grown up there, I’m slightly biased but having lived in California for the better part of a decade, I’m starting to see my home with brand new eyes. And though it may not be one of our countries’ top draws, there are still a few places worth checking out if you find yourself in this corner of the Great Plains. Also known as the “Skyscraper on the Prairie”, this 19 story high-rise would be just another building in most states but in North Dakota it stands alone as the tallest building for miles…and miles…and miles. It’s basic design is due to the fact that it was built during the Great Depression and as a result many of the original decorative features needed to be scraped in order to save money. 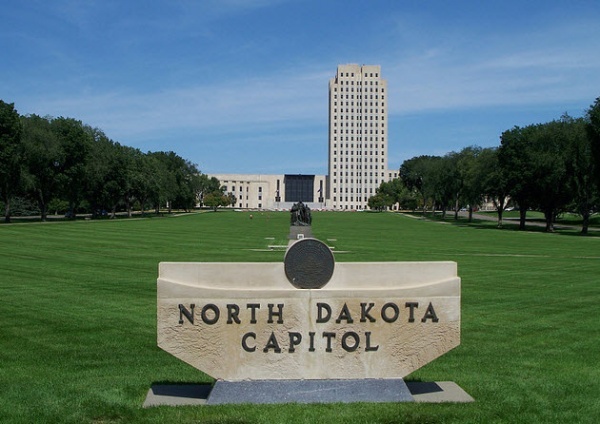 Practical, to-the-point, no frills….the State Capital Building towers over the city in true North Dakota fashion. If you’re coming from San Diego your bound to be disappointed but if you’re in town from the oil fields…well, this should be a nice escape. The zoo has been in existence for 51 years and counting. It hosts a variety of animals, from ground hogs to camels and there is a small train that will take you around the compound. Do you consider yourself a fanatic when it comes to the former residences of state governors? If so, then you’re very strange! But hey, it’s something else to see while your here. Sure it’s a decent place, but by today’s standards it’s hardly a mansion. Ohh well, come check it out and cross it off your bucket list. Explore the Missouri River in style! And actually its probably the only feasible way to do it…unless you have access to a boat or jet ski. The boat tour has been running for about 17 years and offers food and drink onboard. Tours last from one hour to two hours depending on when you go. Adult tickets start at $22 each and reservations are required. Screw it! You’ve decided you don’t want to see any of the above. Fine. Just get a cooler, fill it with beer and head to the sandbar (summer only). The sand bar along the Missouri River has recently been expanded….not by any act of man but as a result of the recent (2011) floods. So congratulations Bismarck…you’ve finally got yourself a “beach scene”! Anywhere along the river. Most people frequent the Bismarck side along River Road. And one last thing. Make sure that if you do visit, you do it in the summer. Avoid coming during the winter as it’s not uncommon for temperatures to drop to negative 20 degrees!! For more information, check out the official North Dakota Tourism page. Thanks for the info! It’s good to know there are at least a few things to do :). I still plan on drinking !! I am looking forward to visiting the boyhood home of Daniel Royse. It truely is my graceland. Thanks for the support Puddin Belly! !